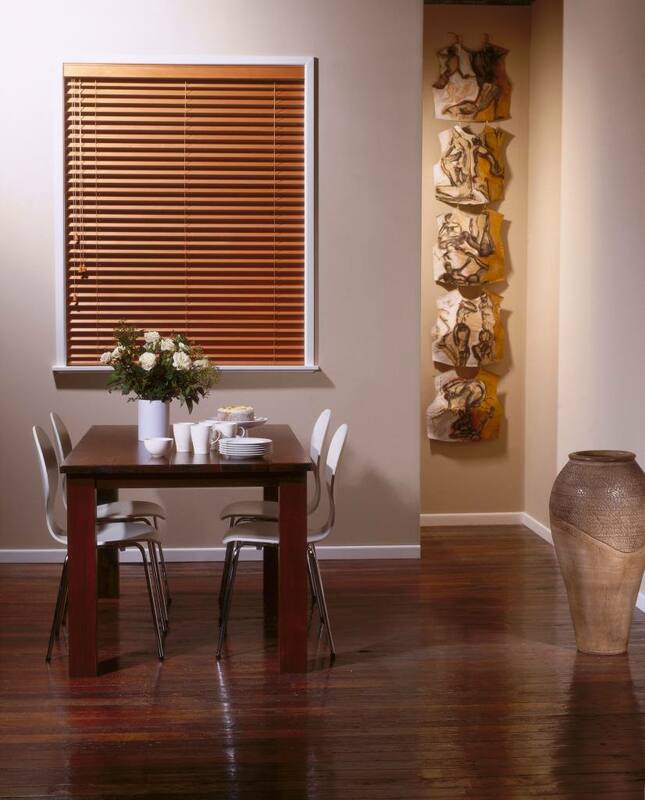 Continue the beautiful lines of Basswood Timber Venetian Blinds into your bathrooms and wet areas with Eco-Wood Venetian Blinds. 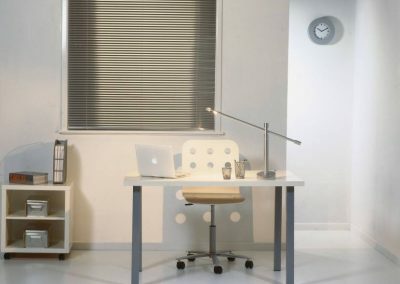 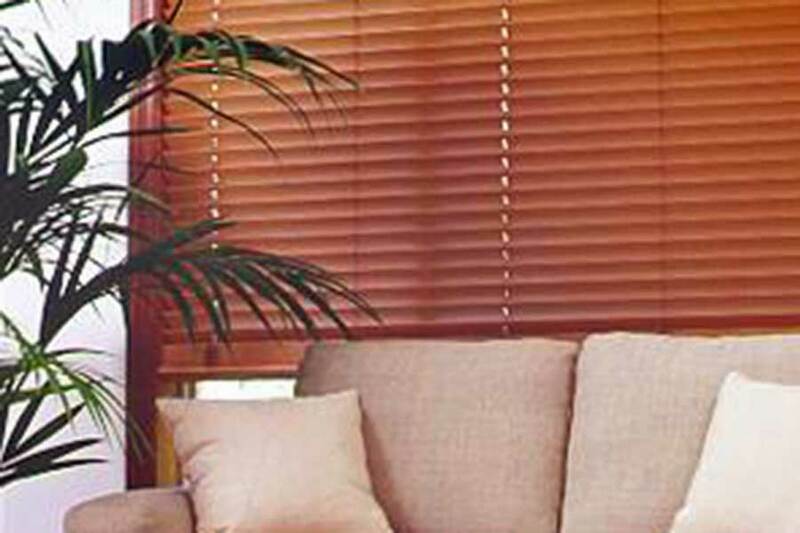 These strong, durable, non-absorbent PVC blinds will add class and charm to all rooms of your home. 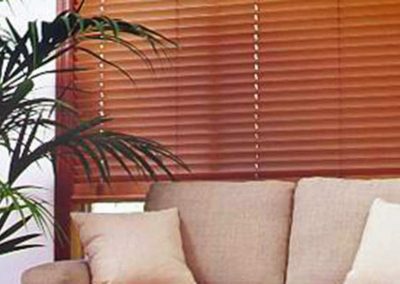 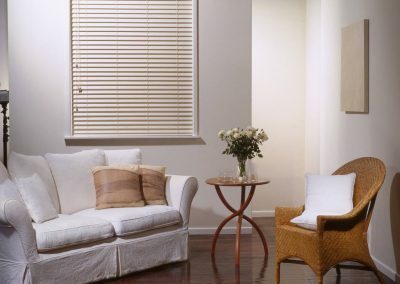 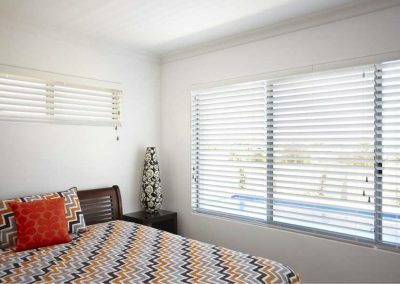 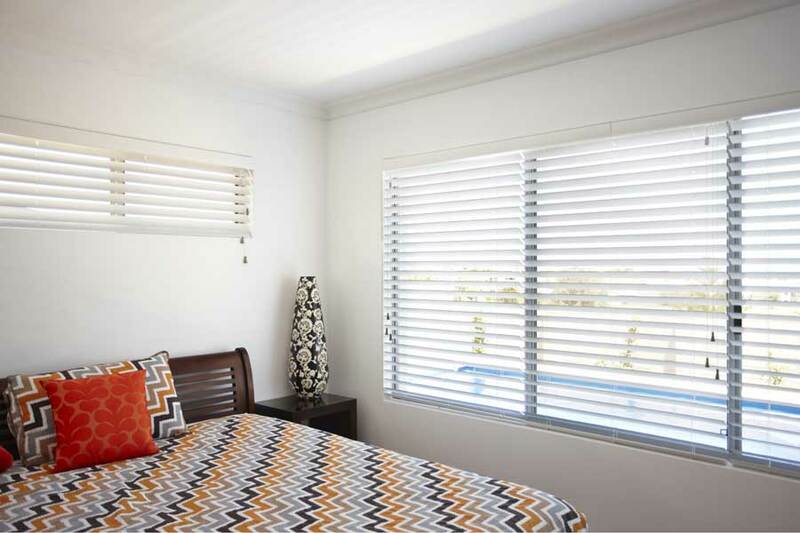 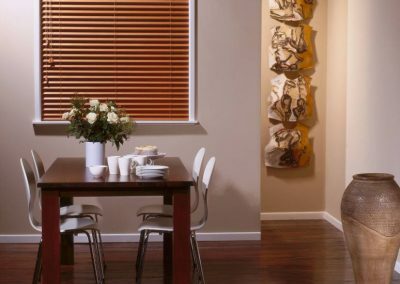 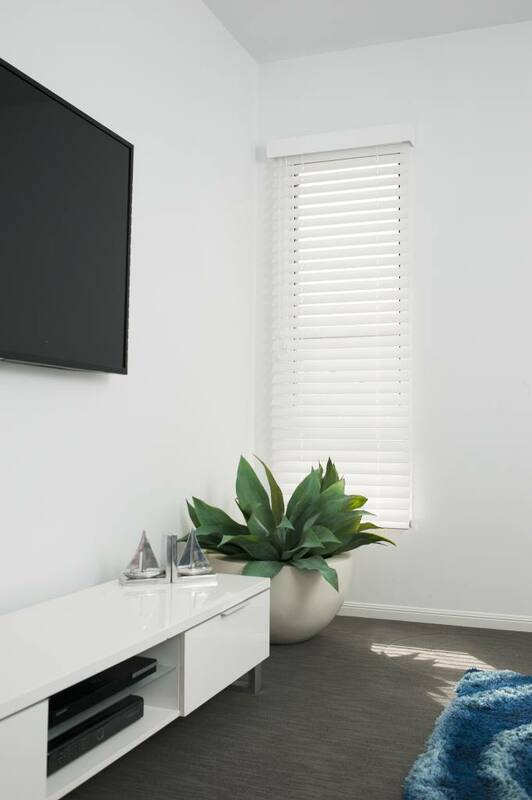 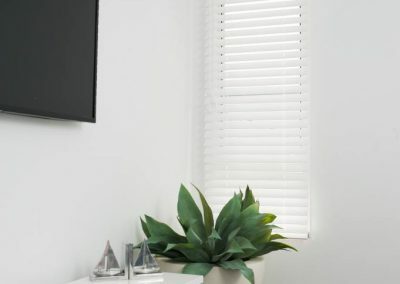 Warmth and character will be created with our Basswood Timber Venetian Blinds. 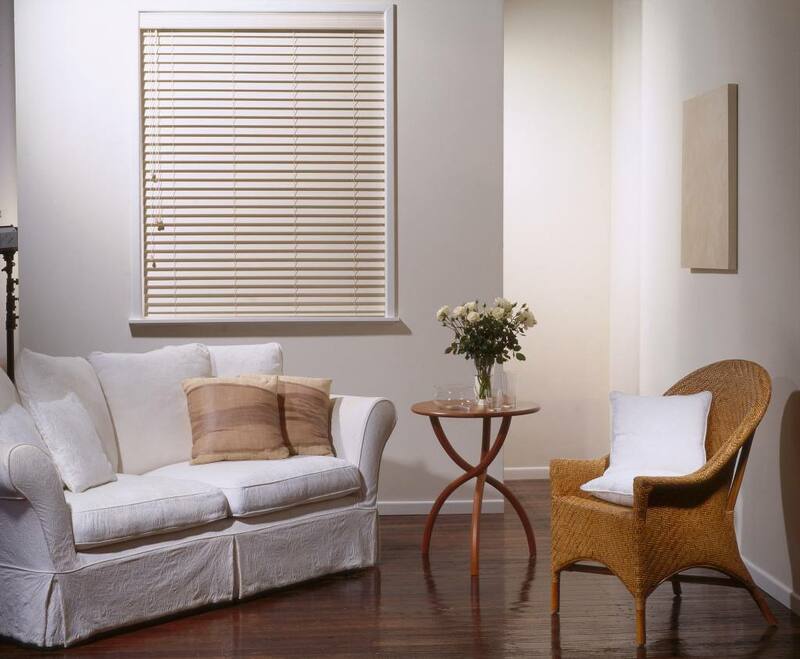 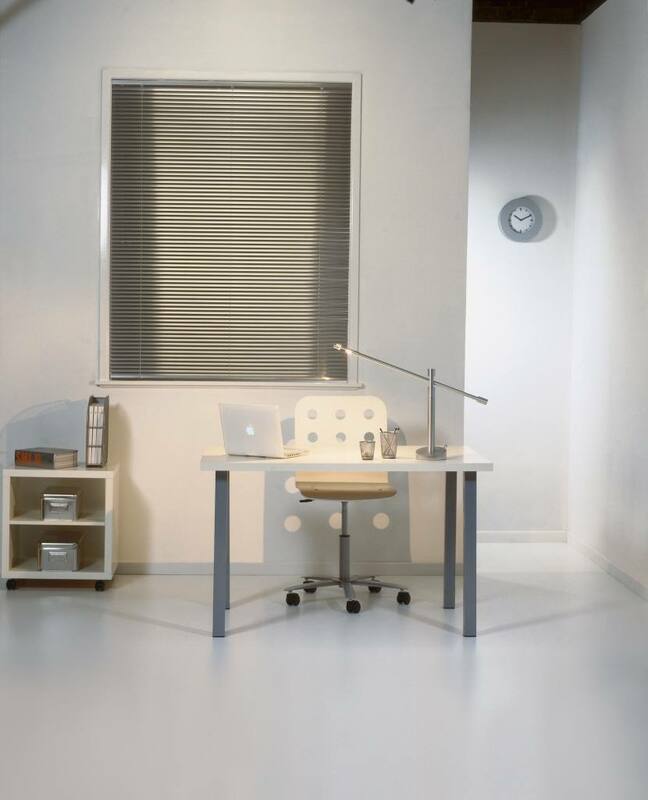 Available in a wide range of colours, these timeless window dressings offer excellent light control and privacy.